March 24, 2017, 11:27 a.m.
Will his attempt to sideline investor Patrick Soon-Shiong lead to consolidated control, or will legal action push back? And did we ever figure out what a Tronc is, anyway? 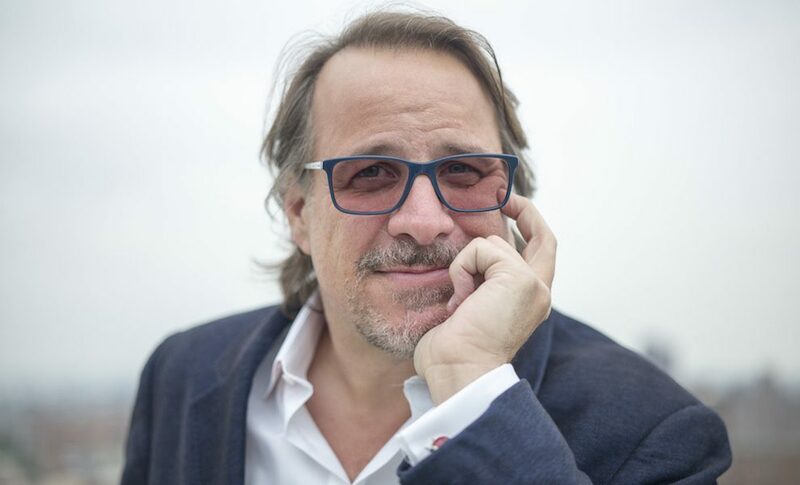 By Ken Doctor @kdoctor March 24, 2017, 11:27 a.m.
On Thursday, Michael Ferro solidified his control of Tronc, the company he seized a more tentative kind of control of just 13 months ago, deposing then-Tribune Publishing CEO Jack Griffin in a quick coup de press. This week’s move looked financial, but too, speaks deeply to power and control. Officially, Tronc paid $56.2 million — more than 25 percent of the company’s $200 million cash holdings as of the end of 2016 — to buy out the remaining shares of Oaktree Capital. Tronc paid $15 per share, a 14 percent premium to the day’s closing market price. Getting that deal done wasn’t easy for Ferro, as Oaktree — a long-time major holder of Tribune, then Tribune Publishing, then Tronc shares — demanded and got an even better deal, one unusual in “stock buyback” transactions. Within the next year, should Tronc itself be sold for more than $15 per share, Oaktree would see upside. In its “price protection” deal, Tronc would be obligated to pay Oaktree additional compensation. For instance, if Tronc ends up getting sold for $18 a share within the next 12 months, Oaktree could gain another $11.2 million. The buyout, and its potentially even steeper price, shows how badly Ferro wanted to get Oaktree out of Tronc’s business. Los Angeles-based Oaktree, a highly regarded investment company, has been a constant irritant to the high-flying Ferro. 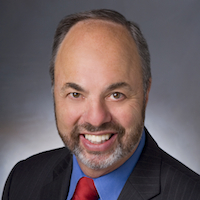 Just last summer, it publicly threatened to take him to court, alleging multiple management improprieties, and had done all the research necessary to file suit. But it held its fire, hoping to keep its name out of the multiple controversies that have swirled around the company in the last year. Oaktree, which had pushed Tronc to accept Gannett’s $18-plus per share offer last year, hoped its payday would come — and so it waited. This spring, the day came. In buying out Oaktree’s 3.75 million shares, board chairman Ferro pulled off a twofer. Using Tronc’s own company funds for the selective “stock buyback,” rather than his own money, he first removed that lawsuit threat that still hung over his head; Oaktree agreed, as part of this sale, to drop its potential claims. Second, he deprived his new arch-enemy, his own vice-chairman Patrick Soon-Shiong, of a vital ally as Soon-Shiong himself has prepared to buy the company out from under Ferro. As I reported Wednesday, Soon-Shiong had plotted his own bid to buy Tronc — and then likely carve out his hometown Los Angeles Times (and probably its sister San Diego Union-Tribune) while selling Tronc’s other seven dailies, likely and ironically to Gannett, confidential sources had told me. Times ownership has been the billionaire medical tech investor’s goal for awhile, and he planned to act on it. In this rat’s nest of corporate intrigue, it had been Ferro who had brought Soon-Shiong into his company just last June as his white knight. Then Soon-Shiong paid $70.5 million for 12.9 percent of the company at $15 a share — Ferro’s early defense against Gannett’s hostile offer. Soon-Shiong also became vice-chairman, though his relationship with Ferro has been described by most as “rocky” from the start. Why did Ferro buyout Oaktree now? Oaktree’s 10 percent stake, added to Soon-Shiong’s own 24 percent, would have amounted to 34 percent of the company. That would have given Soon-Shiong a stronger foundation from which to launch a buyout. At this point, even veteran (one-year veteran, that is) Tronc watchers may well be confused by the company’s recent cascade of moves. But it’s worth keeping in mind that they all seem to have a common thread: the perpetuation of Ferro’s control over America’s second-largest newspaper chain by annual revenue. In fact, this week’s events tell us something even more: As Ferro’s Merrick Media investment company moves toward 30 percent ownership of Tronc, we’re seeing the creeping privatization of the company. Ferro entered only last January, with a 17 percent stake, and then has steadily moved up, with his board approving to 20, then 25, and now approaching 30 percent. That’s the creep. On that question and others, Tronc declined comment for this story. In numerous ways — from the Oaktree buyout to the buying up of enterprises with which his former company was involved to the $2.7 million leasing of private jet service for his own use — Ferro acts more like a privately owned company chairman/CEO than one heading a single-class public company. Securities law mandates that public company directors act in the interest of all shareholders. Ferro’s many moves have certainly blurred that line, if not crossed it. But the question has hung in the air: Who of stature would bring a challenge? For much of last year, it seemed like Gannett’s acquisition of Tribune Publishing/Tronc would leave that question to history. Then, though, the Gannett deal blew up, its backfire still wounding the country’s largest public newspaper company, while Ferro, Road Runner-like, sped on his merry way, escaping unscathed. That’s the story, so far, of Ferro and Tronc. The Gannett battle over, Ferro faced two noisy dissident shareholders: Oaktree, dispatched today with high-priced hush money, and HG Vora, an activist shareholder that smelled profit last year as Tronc was in play and bought into the company speculatively. Recent acquisitions of Vora’s holdings by both Merrick Ventures and Soon-Shiong has removed it from the picture. Ferro’s way forward now seems clearer with those two pesky investors gone and Gannett still on the sideline, licking those wounds. As he finalized his Oaktree deal, Michael Ferro needed to confront his other threat, the one with those deep, deep pockets of $9 billion: Patrick Soon-Shiong, his fallen knight. If intrigue has become part of that Tronc brand, as Ferro rechristened longstanding American icon Tribune last June, this latest palace intrigue might surprise even the most loyal of Tronc followers. On March 9, Tronc filed its proxy statement, the company offering up its slate of directors for the next year, to be voted on at the company’s annual meeting. As the board numbers narrowed from nine to seven, one of the two names left off the list was shocking: Patrick Soon-Shiong’s. Ferro’s 2016 savior was not only losing his vice-chair position, but also his director’s position. (Ferro’s instinct for self-preservation is of the highest order.) But before he did that, with a call going to the surprised investor, he pulled another rabbit out of his corporate trick book. Ferro knew that his control had almost been lost early on — and only because Gannett, in its own pursuit of the company, had missed a deadline. Gannett had failed to meet the early-in-the-year deadline to offer up its own alternative slate of directors, a slate that would have been pro-Gannett sale. Missing that deadline, Gannett only could muster an impressive-but-impotent protest vote at the company’s annual meeting. So this year, seeing new trouble on the horizon, Tronc set an even earlier annual meeting date. That meeting is now scheduled for April 18 — some six weeks before last year’s annual meeting. It’s unlikely the timing was accidental. By the hour that Soon-Shiong received the call that he was off the board, it was already too late for him to file his own alternative slate of directors for 2017, thus handicapping any bid he’s preparing for the whole company. Before Thursday’s buyout of Oaktree, Soon-Shiong already had a tough decision to make. Should he go forward with an offer to buy the company, presumably for a price similar to what Gannett had almost paid, of $18+ per share? Or was that a fool’s errand, given his inability to nominate an offer-friendly slate of directors? Now, though, with likely buyout-friendly Oaktree’s 10 percent stake absorbed under Ferro’s direction, the odds of Soon-Shiong succeeding with a hostile acquisition decrease further. So what he might he do? Soon-Shiong may have been recently eclipsed by Elon Musk as the richest Los Angeles resident, but his pockets still have $9 billion. Famously brilliant, he’s equally known as a man of so many interests that his concentration on any of them at any time is unpredictable. Just a month or two ago, he harbored a dream of becoming Donald Trump’s “health czar,” but his two visits to Trump Tower haven’t yet proved fruitful. Spurned by Ferro, he may turn his direction back Tronc-ward, where he’d then face a strategic choice: Make a bid, or sue, or do both. Or just wait ’til next year. Soon-Shiong, publicly quiet throughout this Tronc months, was unavailable for comment. Most straightforwardly, Soon-Shiong could simply make Tronc’s new board, his former associates, an offer they shouldn’t refuse. An easy number here: $18.40 a share, or what Tronc, we believe, had finally acquiesced to, to sell itself to Gannett last fall before the deal fell through. But Ferro is most likely to strong-arm any new bid — and besides, Soon-Shiong would probably start lower, with a predictable new war of words ensuing. If, though, Soon-Shiong — both because of his desire to own the local L.A. Times and to satisfy his heightened battle with Ferro — went higher, the Tronc board would have an increasingly hard time saying no. At $20 a share, a price Ferro had told associates last year he would have to accept, the deal would be still harder to reject. However, Soon-Shiong and his advisers know that Tronc’s financials don’t merit that price — and as a disciplined businessman, he may not be willing to go that far. Would Soon-Shiong consider a lawsuit, or the threat of a lawsuit? I’ve recounted over the past year the many allegations that Ferro — in rejecting Gannett, in making business deals with those formerly associated with his Wrapports company (that ownership now held in trust, he says), and in doing private placements of shares or now selectively buying back shares, as he’s done with Oaktree — has not acted in the best interests of all shareholders. That potential “breach of fiduciary duty” would have been the basis of a lawsuit if Oaktree had filed it, and it could now be Soon-Shiong’s. While the noisiest shareholders have cashed out, the stock still sits at $13, and much of that price likely rests on continuing belief that it will be sold. In this swirl of pricing issues, best understood by securities attorneys, the big question is: Were Tronc shareholders overall fairly treated? If Soon-Shiong doesn’t bring court action, there are no other likely parties in the wings to do it. In fact, Soon-Shiong may well decide to just play out the clock. He could prepare his offer — and make sure he meets the early 2018 deadline to file a slate of directors who would be friendly to his offer for the company. It’s ironic that Gannett, last year, considered the same scenario, but failed to come back in 2017, its own performance and deal financing issues dissuading it. Of course, we can offer the usual newspaper Miranda warning: A lot can happen in a year. Trump could run through his appointments quickly and Soon-Shiong could get a nod that would make L.A. Times ownership seem a distant goal. A new Moody’s report forecasting “newspaper print ad revenue will decline by low-to-mid teen percentages through the first half of 2018, falling more steeply for national newspapers than for community newspapers…As a consequence, the industry’s organic EBITDA will decline by 7 percent to 10 percent through early to mid-2018.” Tronc’s full-year 2017 financials may alter its desirability or price. Further, the company has just spent a quarter of its cash on hand to buy back the Oaktree shares. Some of that cash came from Soon-Shiong’s 2016 investment; you could say Ferro just spent all but $14 million of that Soon-Shiong infusion to get Oaktree out of his hair. How much cash will Tronc now have at year’s end? Further, there’s this March footnote: Tronc pulled out of the bidding for Us Weekly three days before a planned announcement, an acquisition that would have cost it close to $100 million of that cash. Did Ferro make the choice to abandon that deal and make the Oaktree one? He didn’t have the cash to do both. Then, there’s the big question of what Tronc will become. Promising transformative Tronckification last spring, the company then slowed its efforts, believing a sale was likely — a fact even acknowledged by CEO Justin Dearborn. Now, as it refocuses on operations, Tronc has brought in Tribune, Wrapports, and (briefly) Advance executive Tim Knight to lead its digital division, TroncX. Further, it has become The Washington Post’s largest client for its Arc platform, setting itself on a new technology path via outsourcing. At this juncture, then, it’s still impossible to answer the question: What is a Tronc? As this week closes, the Noises Off-like set that serves as Tronc’s corporate stage presents at least three questions. How far will Michael Ferro continue to push his virtual privatization of the company? How will the question of public company shareholder interest be asserted, and by whom? Most importantly, and again lost in all the palace-of-Ferro intrigue, we’ve got the all-but-undiscussed question: What’s in the public interest here? While the nation is in political flames, the ownership and leadership of some news companies — The New York Times, The Washington Post, and CNN in the lead — have stepped up to the challenge. Meanwhile, the Los Angeles Times — the next largest daily newsroom after the Post — does good, steady professional work, but hasn’t been given the mandate or resources to up its game. Nor have papers that were once industry leaders, like the Chicago Tribune and the Baltimore Sun. This question is the one that should be our main story here — but it hasn’t yet been in Tronc’s one-year history. Photo of Michael Ferro by Christopher Michel used under a Creative Commons license. POSTED March 24, 2017, 11:27 a.m. Doctor, Ken. "Newsonomics: Michael Ferro’s creeping privatization of Tronc." Nieman Journalism Lab. Nieman Foundation for Journalism at Harvard, 24 Mar. 2017. Web. 19 Apr. 2019. Doctor, Ken. "Newsonomics: Michael Ferro’s creeping privatization of Tronc." Nieman Journalism Lab. Last modified March 24, 2017. Accessed April 19, 2019. https://www.niemanlab.org/2017/03/newsonomics-michael-ferros-creeping-privatization-of-tronc/.